If you've ever lived in or been a frequent visitor to Cambridge, you'll probably remember Howe's bike shop. The family owned shop stood open for 173 years, with rumored customers including Charles Darwin himself. 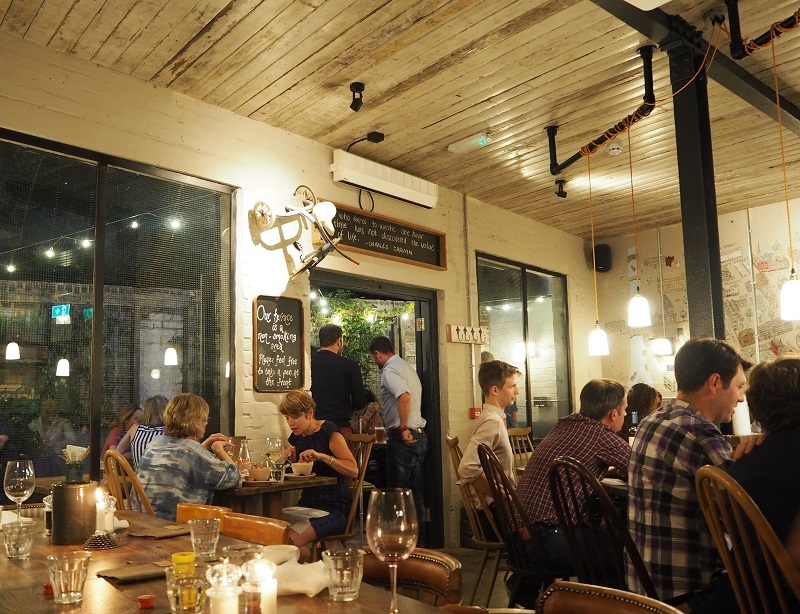 Sadly the business closed a while ago, and with Cambridge becoming more 'shoreditchy' by the day, it was only natural that a twee restaurant, The Old Bicycle Shop, sprang up in its place. I met up with some of the local #CambMeetUp blogger ladies and went to check it out. Let me start by saying that the owners have done an excellent job preserving the shop's history - there are bike parts and old photos everywhere and the choice of furniture and decor works well to give off a traditional yet strangely modern vibe. Special shout out to the funny quotes about cycling hung in the bathroom! The Old Bicycle Shop boasts a gorgeous cocktail menu, with a few unusual additions. Lauren's 'Lance's Lemonade' (get it?!) 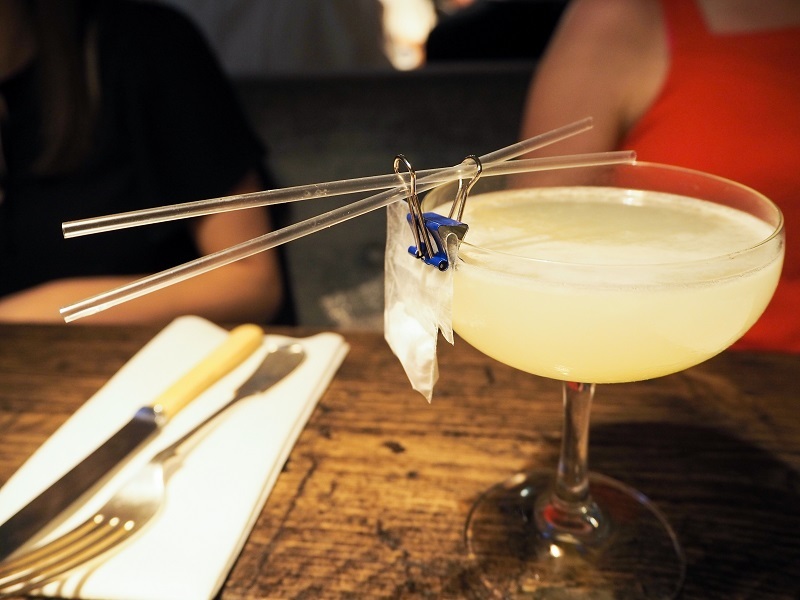 cocktail came with a very suspicious looking pouch of sherbet, which when added to the gin and lemon drink fizzed up. Odd? Yes. Fun? Also yes. So, let's get to the good stuff and talk about the food. While The Old Bicycle Shop is not necessarily easy on the purse strings compared to some other places in town, the menu is refined and well thought out. From nibbles to veggie dishes to steaks, there's something to please everyone, but we weren't so overwhelmed by choice that it took an age to decide what we wanted. I went for the 'posh kebab', which featured some mouth-wateringly tasty slow cooked lamb, topped with ginger slaw and saffron aoili. The portion size was huge but little of the food went unappreciated. It was so full of flavour that I all but finished the plate, to my amazement. I also tried some of the chips, which were bloomin' delish. The only slight downside to our visit was that our food ended up taking so long to arrive that we didn't have time for dessert before catching trains and buses home for the night, which was a shame. I would however ask that you don't let this put you off. The staff were extremely apologetic and even took quite a large sum off our bill to make up for it and threw in some extra drinks. Turns out the delay was due to a large private party arriving very late for their function, leading to an unexpected back-up in the kitchen. Despite the above teething issue in what is still a very new local restaurant, I'd gladly head back to eat this all over again, this time with pudding! It seems I'm not the only one, as the place is packed to the rafters every evening with Cambridge residents and visitors enjoying food and cocktails. Next stop, the brunch menu! 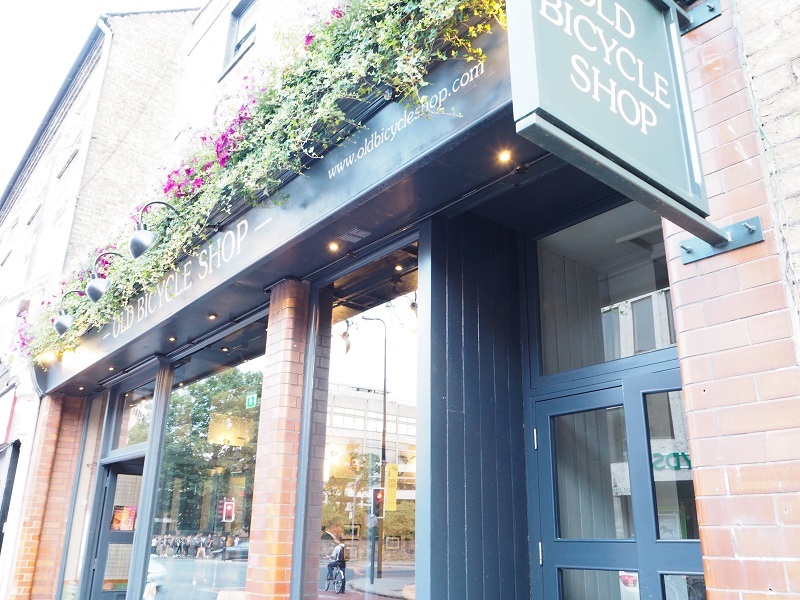 Have you visited the Old Bicycle Shop in Cambridge? 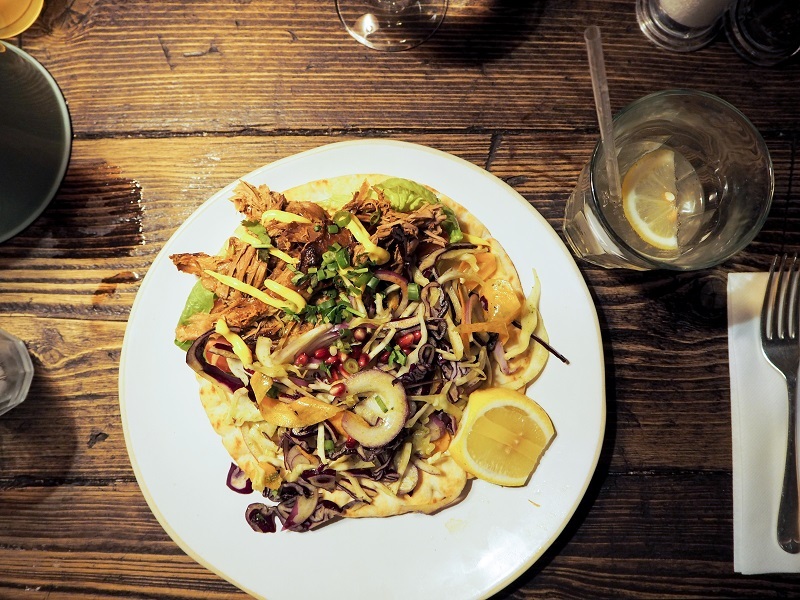 Want to recommend some other foodie hotspots? Let me know in the comments below!